The New Year and first quarter can bring new opportunities for your SME and give you a chance of a fresh start. However, now is the time to get planning for this, to help make Q1 a success and set you up for the rest of the year. 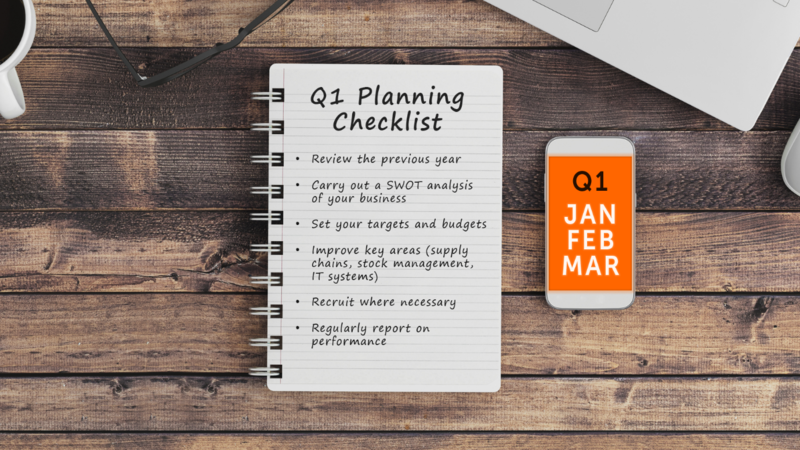 Below we’ve detailed several strategies you might want to try and set up when planning for Q1. Before you look forward, it’s important to look back over the previous year and assess what you have achieved. If you set any goals last January, revisit what these were to make it clear where you’ve achieved, overachieved, or not quite hit the target. This valuable information is something that can then be used to inform your aims for the coming quarter and year. After your review you can also carry out a ‘SWOT analysis’ for the different areas of your business to get a more rounded view of just how well you’ve performed. Strengths – These will be everything positive that has been achieved by your company or the specific area you’re reviewing. It might cover aspects like increased sales, any high performing teams and positive customer feedback. Weaknesses – These are the areas where you’re not doing as well and while it’s not always particularly enjoyable to focus on the negative aspects, it’s important to identify these so you know where you can improve. Opportunities – This section will identify any areas where your SME or your teams could use additional or external factors to their advantage. For instance, newer technologies, processes or more support. Threats – These will cover any external aspects that you feel might affect or challenge your business. For example, what other SMEs in your sector are providing their clients, or what could potentially make them more preferable to consumers. Following this, you’ll have a better idea of how you can progress and what your targets could be for the first quarter, and even the coming year. At the same time, you can get a better understanding of where you can move internal budgets around to support different areas of your SME. In short, try to better some of your strengths, aim to improve any weaknesses and work towards any opportunities you’ve identified. If you need further assistance with this, or could do with some goal-setting inspiration, then this post from The Balance offers some useful tips and advice. Using our National and International delivery services to streamline and manage your supply and orders. This could be particularly effective for dealing with Christmas returns or sales periods. Plus, it would free up team members and allow them to focus their efforts elsewhere. Investing in new CRM systems could also help improve your organisation and your internal processes like ordering, stock management and monitoring of budgets. Taking on more experienced team members can also help make your current roster even better – you can find useful advice on this process courtesy of this post we previously produced about hiring new employees. Speaking of your employees, as well as hiring more, you may also want to think about reorganising your teams. 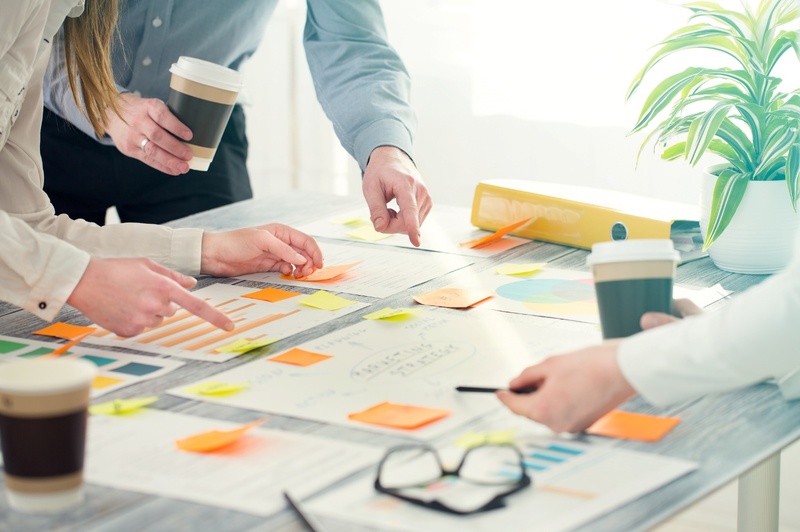 Your SWOT analysis may highlight the parts of your SME that need extra support; with this you could delegate senior, or more experienced individuals, to give these struggling areas a helping hand. Equally, if you have certain targets in mind for these teams, you could designate organisational or managerial responsibilities to these more skilled employees, to help make sure your goals are achieved by the end of Q1. It’s a good idea to review all of this again after the first quarter has ended – or after 90 days. It might be that you see improvements in many areas, so you can then refocus your efforts into aspects that may still need further support. Also, you can then help to identify what strategies would be useful for your SME going forward into Q2. There are different ways you can report on your small business’ performance and you can find a variety of helpful and practical examples in this guide on Small Business Chron. You may also want to ask your customers and clients for feedback on your recent performance. These honest reviews can give you a reliable view on what you’ve done well and where you could improve. The final part of all this is to start planning and implementing these strategies now before we get too far into the quarter. This way you give yourself more time to get your business on the best footing for a successful year. This entry was posted in Business Business Growth Small Business SME and tagged Bookmark the permalink.